Whether you plan to scuba dive, play golf, explore Tobago's rainforest preserve (the oldest in the Western hemisphere) or just kickback and relax in the sun or quiet sanctuary of your holiday habitat, Sandy Point provides the ideal base for your Caribbean escape. Forty-six well-appointed apartments range in size from studios, which sleep four to a 4-bedroom apartment, which sleeps ten. Each is designed and equipped to ensure an enjoyable, relaxing stay in Tobago. The resort is within walking distance of two of the island’s more popular beaches, Pigeon Point and Store Bay, and is just minutes away from two championship golf courses. Horseback riding, tennis and of course, water sports are also within easy reach. The apartments at Sandy Point are for the most part timeshared. Sandy Point is an affiliate of Resort Condominiums International (RCI). The Club is managed by a Committee comprised of volunteer timeshare members who are residents of Trinidad and Tobago. 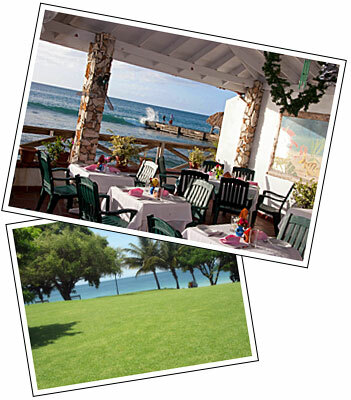 The resort is managed by the timeshare club on behalf of the holding company, Sandy Point Beach Club Limited. The club has been in operation since 1977 and has held a 199-year lease on the site since 1976. Members took over from the developers in 1987. The apartments are held in Trust for members, and are free of debt and other encumbrances. 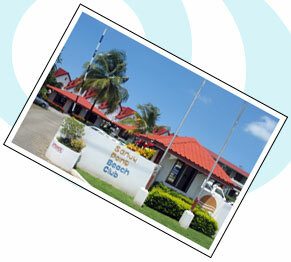 Sandy Point Beach Club offers both rental and resale services for its members. The club’s Management Committee establishes rates and prices that ensure excellent value for its timeshare owners.